RAN FM Sri Lanka Radio Live Streaming Online . Ran FM Live Stream . 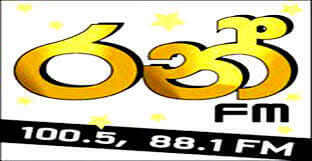 Listen over 60 Sri Lanka FM Radio Stations live Streaming Online . Enjoy Live Stream of Sri lanka Music News 24 by 7 Online . ALL FM statios Plays well in Google Chrome or Mozilla Firefox browsers. The mission of this radio is going beyond just entertainment and connecting with listeners at a more heartfelt level . It blends musical preferences of a generation that could enjoy music flavours from different times , The Old and the New creating the best mix of content that they could truly enjoy . Contact Us if if You Face any problems by clicking Contact Us button. Address : EAP BROADCASTING COMPANY LIMITED , #676, Galle Road, Colombo 03, Sri Lanka .